I've been thinking a lot about miracles this week. Wondering what a miracle would look like in our family's situation. Considering the idea that little miracles have been happening all along the journey for my brother and his wife and their daughter...Being moved to tears by how gracious our God is to answer prayer, even prayers as small as mustard seeds (admittedly mine sometimes) and how I KNOW He is moving behind the scenes, orchestrating all of this in His own beautiful way even though sometimes we do not see those things. Many of you have seen the button on the side of my page and have read about my brother's baby girl and the health struggles they are going through right now-- in summary, little Cordelia was born on March 15th of this year with a very rare liver condition called Biliary Atresia and was discovered to need a liver transplant as soon as possible. In some cases a corrective surgery can be done which can sometimes (though rarely) correct the condition, but almost always allows at least some more time for the child to grow and develop. That was not an option in Cordelia's case-- her liver was too badly damaged. So, after many months of waiting for a donated liver the doctors decided they would use her mother's liver and performed surgery yesterday... The whole thing is a miracle. That doctors can perform such an intricate and delicate surgery with accuracy and success. That a baby who 60 years ago would have had few options for healing, has the ability to be given this incredible gift of life today. That, more specifically, a mother can donate a piece of her own liver to her daughter and that it will restart itself in her daughter's body and then regenerate itself in hers....MIRACLES. And these are only the things we have seen. I trust that, in this entire process, God has been moving His hand in unseen ways to protect Cordelia and to orchestrate the pieces of this story. 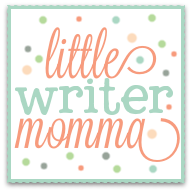 So, while I didn't have time to compose a lengthier post about this, I wanted to use this space today to remind you that miracles do still happen. That God calls us to trust Him and that His word says that if we have "faith as small as a mustard seed" mountains can be moved! I will confess that my faith was littered with fear and anxiety as I prayed for my brother and his wife and Cordelia over the weekend on particularly on Monday. 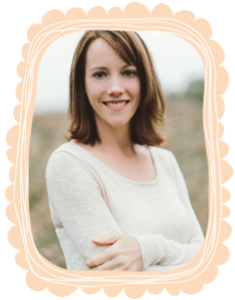 Despite my littered faith and prayers, I felt God's grace saying, "Lisa, I didn't say your faith had to be perfect, only that it needed be present." And, at the end of the day, while none of this is about me or my measly prayers...I think God uses the stories of people in our lives to stretch our own faith. 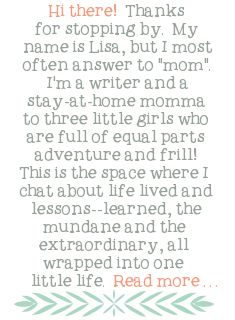 Love the Einstein quote, Lisa! 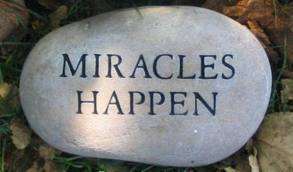 I haven't written about any specific miracles, but they're all around us if we will take the time to look. I am awaiting a miracle myself, not for healing but in general for a person's life. Very discouraged this morning, this was a huge encouragement this morning! Thanks for writing! Great post Lisa! Thank you so much for sharing Cordelia's miracle! Oh what an awesome God we serve!